Thanks, readers, for your great response to The Whole Megillah interview with author David A. Adler. Some of you asked for more and David graciously agreed to answer a few additional questions. The Whole Megillah (TWM): What attracts you to biography? David Adler (DA): I have always enjoyed reading biographies. They put a human face on history. And because I believe writers should only write the sorts of things they like to read, I was drawn to writing biographies. The great difficulty in writing biographies for young children is the lives of most important people can only be explained in context. 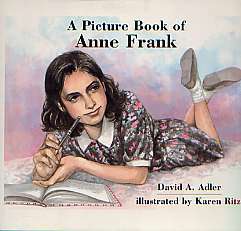 The story of Anne Frank could not be told without the history of the Holocaust so her biography even for relatively young readers was about much more than just Anne Frank. TWM: Can you talk a bit more about how you select your biography subjects? What’s your research process? Do you go digging through archives? Have you collected any artifacts along the way? If so, can you tell us about a couple of them? DA: The subject of a biography must be of interest to me and to my editor. There also must be enough information available for me to research. I have written many picture book biographies but also some for older readers. For my book Frederick Douglass: A Noble Life I first went to his three autobiographies. I am always attracted to subjects who have written autobiographies. With them, I can easily quote the subject on his own life. I also read through a huge number of abolitionist newspapers, Douglass’s and those written by others and made some startling discoveries. I reproduced many pages from these newspapers in the book so young readers could make their own discoveries from these primary sources. TWM: What’s your opinion about ebooks and the future of publishing? DA: Ebooks will surely become increasingly popular. I wish I knew what that means for the future of traditional books. TWM: What’s the single most important lesson you’ve learned in your writing career? DA: Perhaps it is not to take myself too seriously. I mostly owe my limited success to a ten year mystery-solving old girl named Cam. I was lucky to have thought of her. Ideas are gifts. I was lucky that after several publishers said “No” to Cam, Viking Press said “Yes.” And I am so grateful that children still like reading about her. Stay tuned to upcoming video interviews with Israeli author Anna Levine and video snippets from the Editor Roundtable at the May 2011 Highlights Foundation workshop on Writing Jewish-themed Children’s Books. 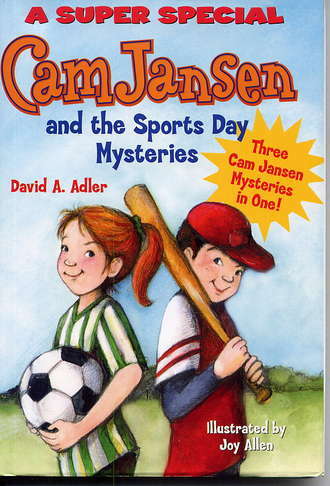 This entry was posted in Authors and tagged biographies for kids, Cam Jansen, David A. Adler, david adler. Bookmark the permalink. Fascinating interview full of such good information for writers. Thanks for this, Barbara. Pnina, thank you for suggesting it!